One of my favorite things about the Christmas holiday season is eggnog! It’s been a tradition in my house since I was little and one we still cling to as adults. This year, though, I’m trying to keep my eggnog intake to a minimum since it’s loaded with calories I don’t need. So, I came up with an eggnog protein shake. Using skim milk and light eggnog plus pungent spices, it’s the perfect Christmas shake. I can enjoy the tradition of eggnog without the added fat and calories that would mess up my weight and health goals. Working out this recipe got me wondering, exactly where did the tradition of eggnog come from? Traditionally, nog has referred to a strong variety of beer and egg is pretty self-explanatory. Several hundred years ago, the English began mixing eggs, dairy, sugar, and alcohol to create a warming winter beverage. When the colonists came to settle in “the new world,” they brought eggnog with them. In American, ale was less available and the colonists began mixing their beverages with Caribbean rum or whiskey from the plentiful fields of grain. Combined with the farming communities abundance of eggs and milk cows, creating the American version of eggnog was easy. George Washington created his own version of this traditional drink where he used a combination of rye, whiskey, rum, brandy, and sherry. Christmas with the Washingtons must’ve been a lot of fun! In the grocery store, they sell non-alcoholic eggnog in the dairy section. That’s what we drank as a kid. As an adult, I admit, I’ve been known to add my own alcohol to it. One final note: in keeping with the regional adaptations of this Christmas drink, Puerto Rico added coconut juice, Mexico adds cinnamon and vanilla flavors, and Peru uses their special version of brandy called pisco. 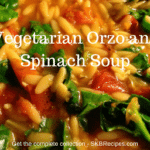 This recipe was originally created for ViSalus protein powder so may require adding a bit of sweetener to the recipe. 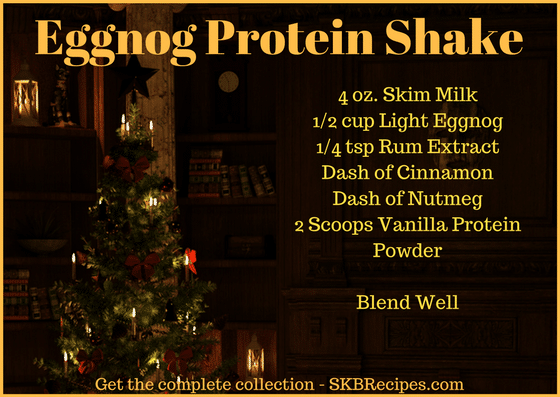 If you love eggnog, in any of its versions, try out the eggnog protein shake and let us know what you think! Check out our other protein shake recipes for any occasion.